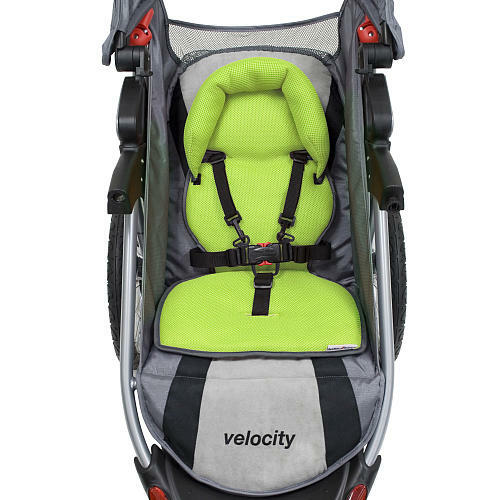 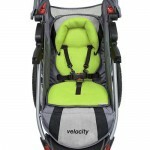 The Baby Trend Velocity jogger in the stylish Matrix hologram fashion features 16 rear pneumatic bicycle tires with quick release for storage. 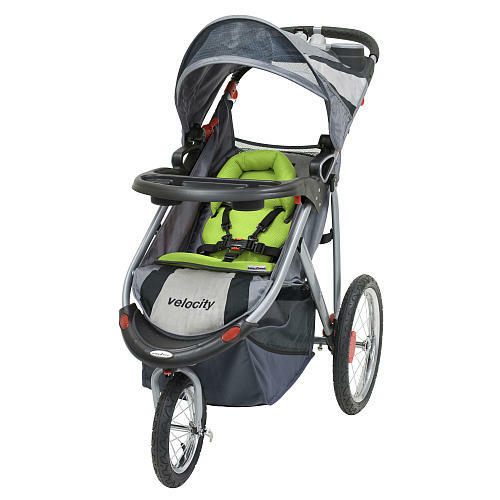 The front 12swivel wheel can be locked for better stability or released for enhanced maneuverability. This JPMA certified stroller boasts a lightweight, sturdy construction with a quick and easy compact fold. It has a ratcheting shade canopy that provides protection from rain or sun. 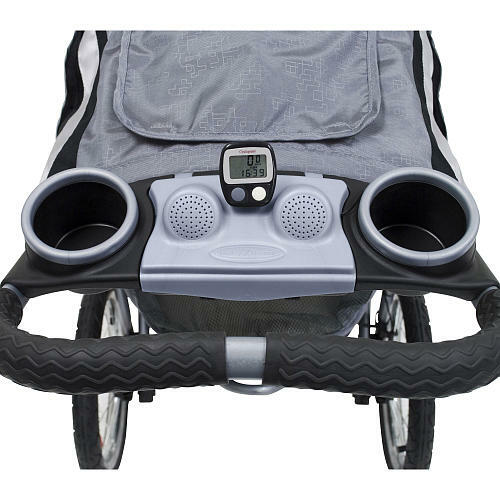 The deluxe parent tray features all weather speakers with MP3 player hook-up to play your favorite tunes plus a pedometer for the health conscious. 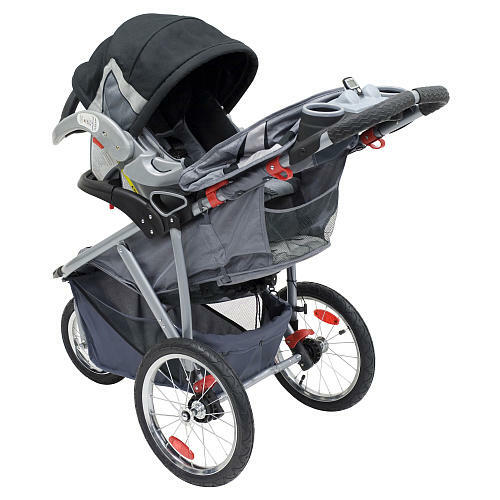 Additional highlights include a multi-position seat recline, a large storage basket, and a convenient parent tray with two cup holders and a covered storage compartment. 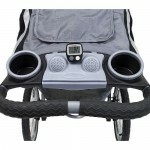 This stylish jogger will also accept any Baby Trend infant car seat to create a convenient jogging travel system.